Optimal image performance for all focal lengths - the Milvus lenses from Zeiss will impress you with their constantly excellent image performance across all focal lengths – regardless of whether they are used for portrait, landscape, event or other types of photography. Optimised for high-resolution cameras, their precise, manual focus ensures that the Zeiss Milvus lenses are the perfect tools to implement your creativity, no matter what the application. All Milvus lenses feature a T* antireflective coating from ZEISS. Outstanding stray light reduction is achieved by combining a number of optimally matched measures. In addition to the ZEISS T* coating, all lens edges are provided with a special pitch-black lacquer in a complex manual process which reduces the occurrence of color fringes at high-contrast edges of subjects to an absolute minimum. The excellent image performance of the ZEISS Milvus lenses is sharply focused on the requirements of current and future high-performance digital cameras. The minimization of coma, astigmatism and spherical aberrations enables constantly high resolution over the entire image field. The optics are designed to ensure full utilization of the performance provided by high-resolution camera systems. The all-metal housing makes every adjustment a haptic experience. The dynamic, precise barrel design sets new trends in the world of camera lenses. 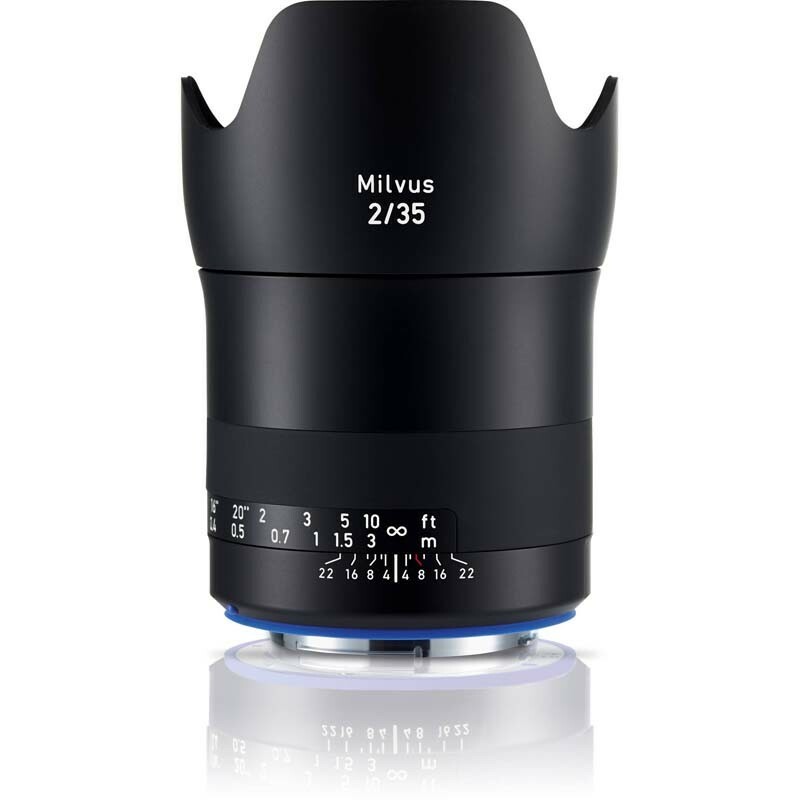 However, the ZEISS Milvus lenses will impress you not only due to their visual and haptic excellence, but also thanks to their inner qualities. Special seals for protection against dust and splashes expand the photographer's creative potential by guaranteeing the system's functional reliability even in environmentally difficult situations. The Floating Elements Design permits constantly high image performance in the focal plane – from the minimum object distance to infinity. This is accomplished by changing the axial distance between individual lens elements or element groups. The adjustment of the element spacing is coupled to the distance setting so that it always results in the right correction. The mechanical design of the ZEISS Milvus lenses is highly complex and the workmanship must be extremely exact – both specialties of ZEISS. £150 off the marked price. The discount will automatically applied when you add the item to your basket. So, add it to your basket and watch the price drop!